Jo Ann Manzone is a nationally known felter. As a featured artist, her show, Tuned into Tunic’s will be displayed throughout the month of June at Ashland Art Center. 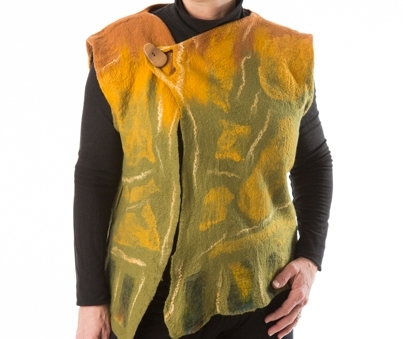 Come see the playful way she combines wool, silk and other fibers to create Nuno felted fabric. As always, visitors will find galleries, open studios, art, and artists on all three floors of the Art Center.